We review the Marvel animated film "Spider-Man Into the Spider-Verse" and also share in the Holiday spirit with some special moments with team POPX. 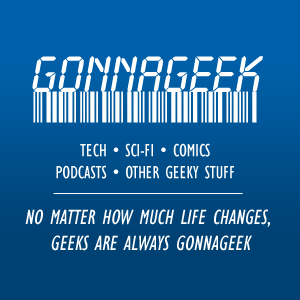 We also share the latest in Geek Culture News with POPX Headlines, and give our reactions to the all new MCU film trailers, including Avengers : End Game. Join us for a fun-filled, eggnog drinking, candy cane munching good time... Join us, SHALL YOU!!!? 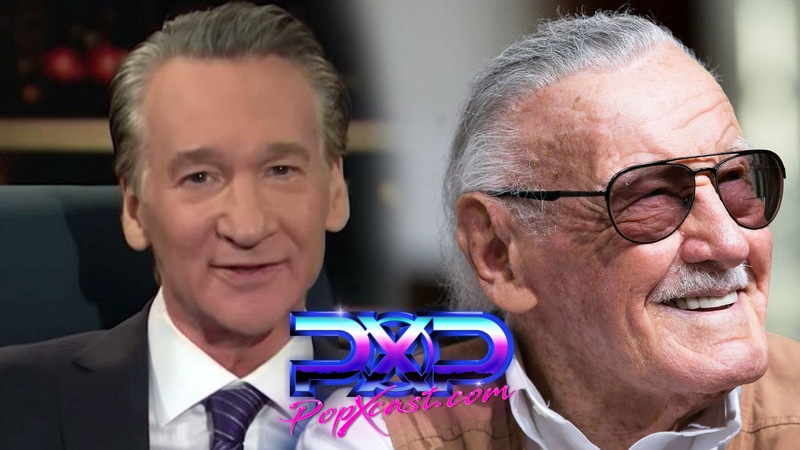 Bill Maher disrespects Stan Lee’s legacy and questions if comics are desensitizing generations with fanatical ideas. 🤬 I typically refrain from these sort of discussions publicly. It’s not my jam to be political, controversial or on anyone’s agenda bandwagon... BUT... His comments and statements kindles a fire within all of us, as we know his brazen dialogue is a ploy to ruffle feathers, drawing attention to himself, and all on the media hype of Stan Lee's passing. Read the attached article link in this post before proceeding further. For a sick kid, who grew up introverted and bullied, comics became the one ray of hope in a young 7 year old’s imagination. Ultimately, I became an artist and graphic designer because of Marvel Comics, mimicking Jack Kirby's craft and the stories Stan Lee wrote. Does that mean I too am a whimsical fantasy driven human being with no moral compass or strive to be productive in society? Careful of wolves in sheep’s clothing, those quick to judge with lack of understanding about a community in which you know absolutely nothing about. Don’t be jealous that the cameo king of comics didn’t just create superheroes, he created an entire universe in just over a decade. "The guy who created Spider-Man and the Hulk has died, and America is in mourning. Deep, deep mourning for a man who inspired millions to, I don’t know, watch a movie, I guess..." Maher wrote. Lee’s heart for everyone alone became a beacon of light for generations of introverts, bully victims, chronically ill, thinkers, scholars, actors, artists, leaders, writers and professionals... who were deemed “different” by a society and culture we lived in. You’re just another bully in the hallway to me Mr. Maher, and I’ve officially evicted bullies from my destiny. It's so easy to attack someone, when you haven't walk a mile in their shows Mr. Maher. Scale back all the fame, all the fortune, all the hate, trash-talk and verbal skewing, and your empire is a shameful representation of the American dream. To inspire, offer hope and tell stories with a moral compass in mind, that's a grand idea. Stan Lee wrote about something so profound in 1968, in a weekly column called, “Stan’s Soapbox,” a topic of bigotry, racism and violence. I’ll just let the editorial piece speak for itself. Look below in the comments for this attached article. This was the same year the world saw the assassinations of Robert F. Kennedy, and Martin Luther King, Jr, and so Stan responded with heart. Steps off my own soapbox, picks up a pencil and sketches my next masterpiece. On this very special episode of POPX, our very own Mike Ippolito goes on location at RetroBlasting headquarters in Atlanta, GA with an up close journey inside the vault and showroom. We'll discuss RetroBlasting founder Michael French's top 5 toy lines, answer questions LIVE from the fans, as well as a guided tour within the showroom collection. For real, this episode may just melt your brain with retro goodness. Grab your jetpacks, put on your Vader onesie and grab a cold glass of Pepsi Perfect, we're going in! Join us for a spooky special of POPX, as we dive into the team's top 5 horror films since 2010, giving a modern twist on a new era in the genre. We also discuss the all new Halloween film featuring Jaime Lee Curtis. Be sure to like, share and click "Get Notifications" to stay up to date on the upcoming live stream. Put your masks on, grab your trick or treat bag, POPX is going door to door down the avenue of horror. Coming up on this episode of POPX, we dive into to all things VENOM! This will be a #SPOILER review of the film, so make sure you see it first before tuning in. We talk all things Tom Hardy, Easter Eggs, references, things that worked, things that didn't and in between. All of this, plus the weekly comic/popculture headlines, so click the "Get Notifications" button to get alerts on the show. On this episode we discuss the Marvel Netflix series Rewind, and discuss Jessica Jones, Luke Cage and Iron Fist season 2. POPX team member Mike showcases and discusses some of the features in the new DC Universe streaming subscription service. From comics in HD, to streaming movies and TV show archive, plus complete animated movies section, and the all new Titans show (dropping October 12th), the DC Universe is already a behemoth service of content. Get hype, Summer is over and POPX is back!!! Join us this week as we dive into the origin stories of two big names appearing in upcoming variations of DC film / television. Shazam is making his theatrical debut April 5th, 2019, while Lobo is expected to be the villain in season 2 of SyFy's Krypton. We'll catch you up on their origin stories, as well as uncover their powers and abilities. Join Team POPX this week, as we recap some of the highlights from this weeks announcements, events and news from the 2018 San Diego Comic Con. From trailers, toys and video games, we've got you covered! Episode 80 - “Ant-Man and the Wasp” + “Won’t You Be My Neighbor?” Spoiler Review & More. Team POPX is back at it this week with a in depth discussion on Marvel's latest addition to the MCU, Ant-Man & The Wasp. We also spend a few moments discussing the new documentary "Won't You Be My Neighbor?" hitting select theaters across America. We dive into the pop culture impact Fred Rogers had on youth then, and even today. Join us for POPX News, in-depth discussions, spoilers, easter eggs and so much more! Coming up on Episode 79 of POPX: Will Disney be Able to outbid Comcast? We talk about E3, and some games we’re excited for. Cloak and Dagger gets high marks and we dive into the origin stories of Negasonic Teenage Warhead and Captain Marvel, give a film review for Incredibles 2 by Pixar. POPX leaps into hyperspace and ventures to a land in a galaxy far, far away, as we talk all things Solo and the film overall. We also have an in depth discussion about the future of Disney's Star Wars saga "side story" films, and their impact on pop culture today. Are they just right? Are they over saturating the market? All this and more on Episode 78. The Merc with the Mouth returns, in all his colorful mouthy glory, as Team POPX braces ourselves for another zany ride with Deadpool. It's sure to be a slippery slope of gelatinous goodness, so join us as we discuss highlights, spoilers, our favorite moments and review the brand new X-men franchise film. Flushable wipes provided upon entry. It's here... FINALLY! Team POPX uncovers Infinity War, and all the mysteries that fans have been predicting, anticipating and theorizing about. What will be true? What will be unexpected? Are fans truly ready for the impact this film will have on the future of the MCU? What are the Easter Eggs? All this and more will be explained, and just a warning ahead of time, there will be spoilers. SO SPOILER ALERT WARNING IN EFFECT ON THIS EPISODE. Team POPX gathers one week before the launch of Avengers: Infinity War to give our predictions and what we think will happen in the upcoming MCU film. The film has already been predicted to change the dynamic of the MCU, and even the Russo Brothers took to the web to plead with viewers not to spoil the film for those who haven't seen it yet. With that said, truly this will be a film that will change everything we know about the MCU. When the game's billionaire founder dies, he offers players his fortune as the prize in an easter egg hunt within The Oasis. Watts gets in on the action then after five years finds himself facing off against corporate foes who will go to any lengths to get the money -- in both the real world and in The Oasis. Just in time for Marvel's Avengers : Infinity War to hit theaters on April 27th, Team POPX dives into everything you need to know about the saga's comic origins. From Thanos' obsession with Death, to the origins of the infinity gems themselves, this episode will be jammed full of juicy tidbits that you'll need to know before going to watch the film. Save it, share it, spread it, love it! It's finally here, and 2018 kicks off the comic book superhero genre with Marvel's first film of the year, Black Panther. Team POPX dives into the world of Wakanda, the Panther and the film's impact on the upcoming MCU. Join us for discussion, likes and dislikes and of course, some in depth spoilers and easter eggs you may have missed. It seems the rise in origin films are becoming more and more prevalent these days. And with that rise, Team POPX evaluates the Top 5 Origin films from the past 4 decades, and the films that spawned entire franchises. You don't want to miss this special episode with all sorts of geeky goodness! Team POPX tackles a difficult topic this week, one that impacts movie goers across the globe; the impact of negative film reviews and how backlash leads to film studios second guessing their creations. Users from Reddit and other online usergroup sites rally to leave negative commentary on popular films, will this trend fizzle out, or grow to become a major thorn in the film industry's side? We talk all things Marvel and DC Comics, and not necessarily pitting one up against the other, but sharing our fond moments from each, and which we gravitate towards on a personal level. To be honest, we're all a little Marvel and DC, and this podcast will highlight the success of both companies.